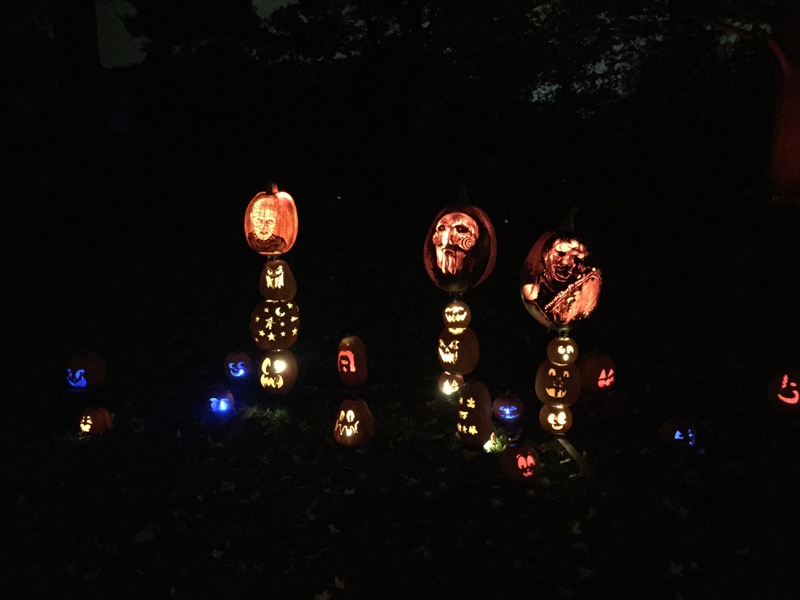 Ever since I started this blog last year, I’ve loved how it’s been a group effort. 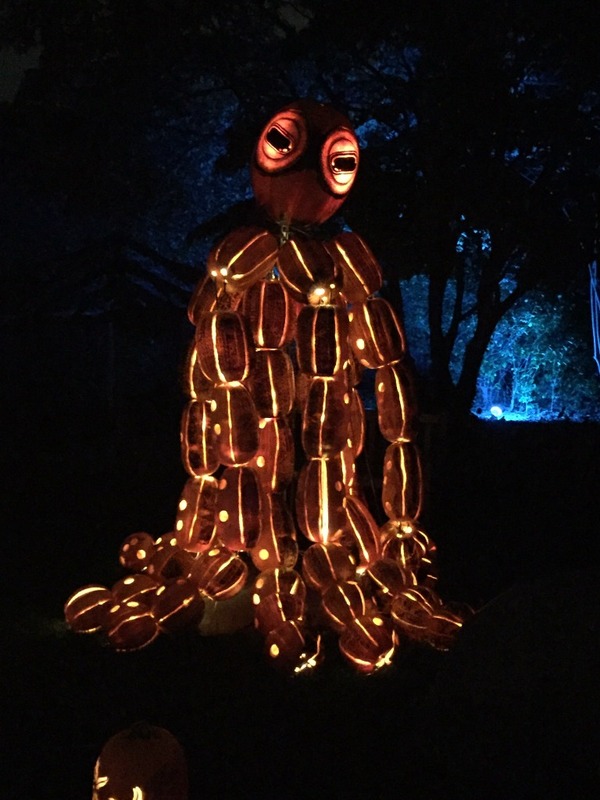 Friends, family and strangers are always suggesting the next place for me to visit or sharing something exciting that they’ve got planned. 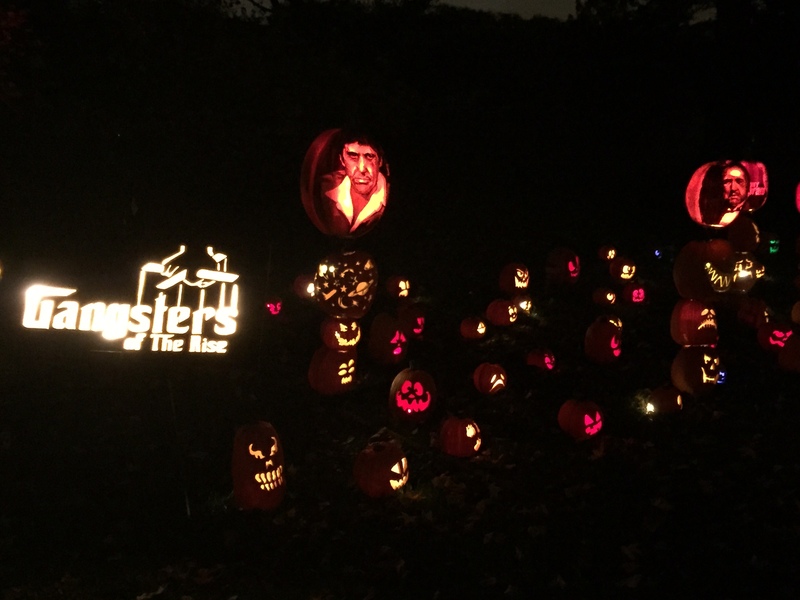 Last week, my friend Justin was telling me about a Halloween event he was going to out on Long Island – and when he showed me photos, I thought it seemed perfect ‘Today’s the day I’ material. 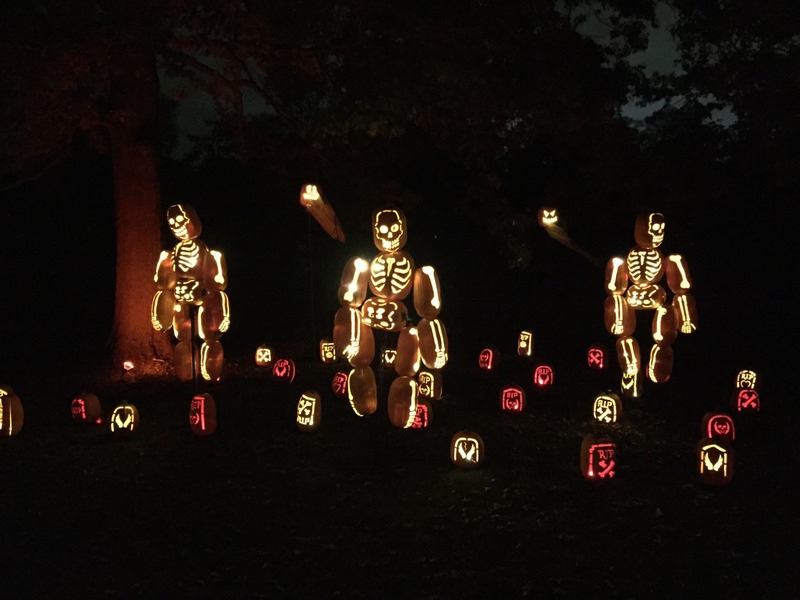 I didn’t get the chance to go (next year, it’s a must!) 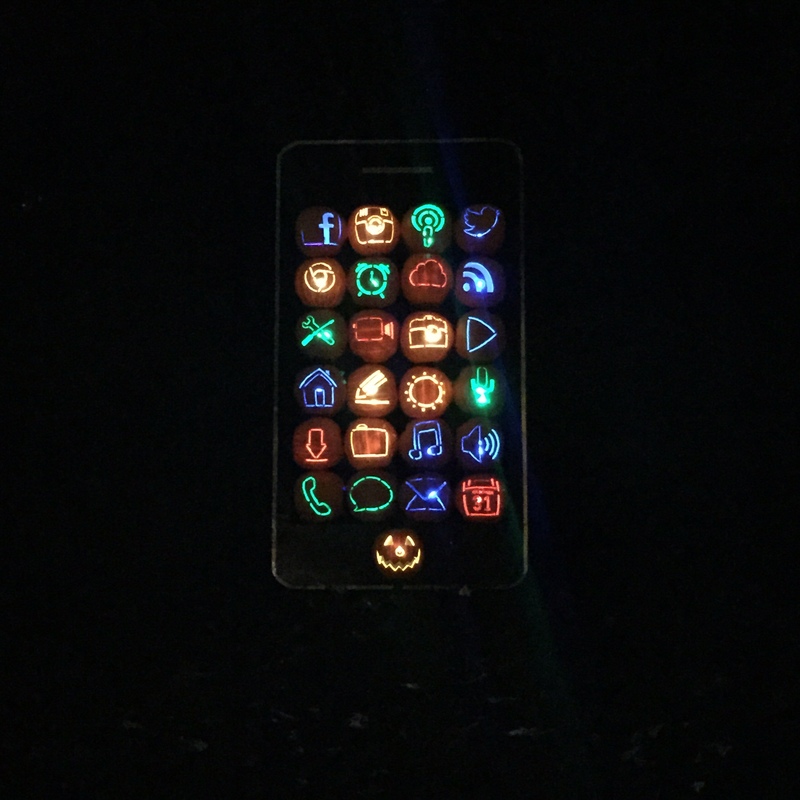 so he’s put together this blog post about his night out for us instead. 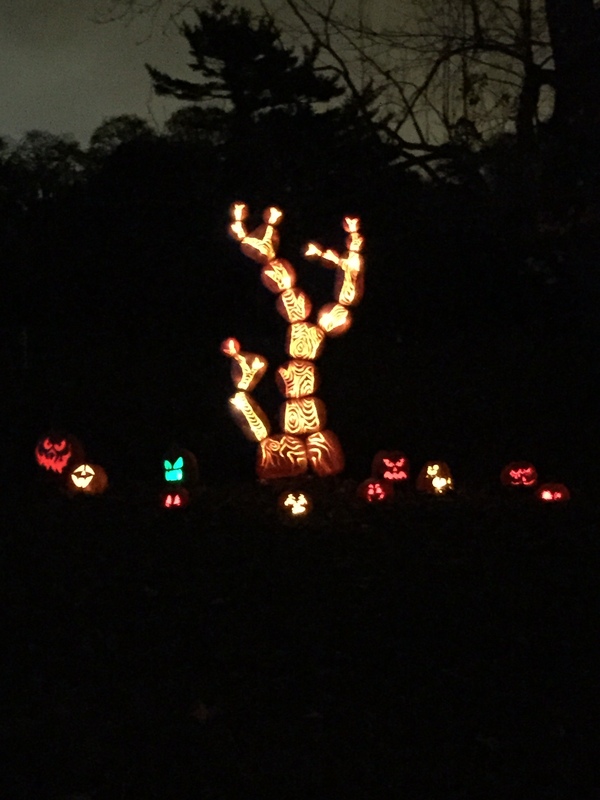 Celebrating Halloween in New York City can be a wonderful experience full of amazing sights, but for many lifelong New Yorkers, Halloween in NYC can sometimes feel like New Year’s Eve in NYC – overly crowded and overly touristy. So this year I decided to make the reverse commute and head out to my hometown on Long Island for Halloween. 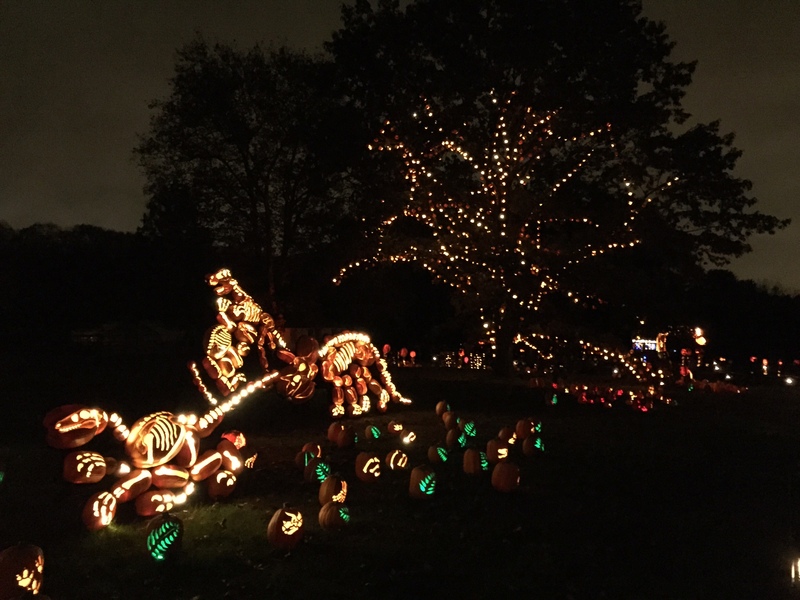 Only a 40 minute train ride on the Long Island Rail Road from Penn Station takes you to Westbury, Long Island. 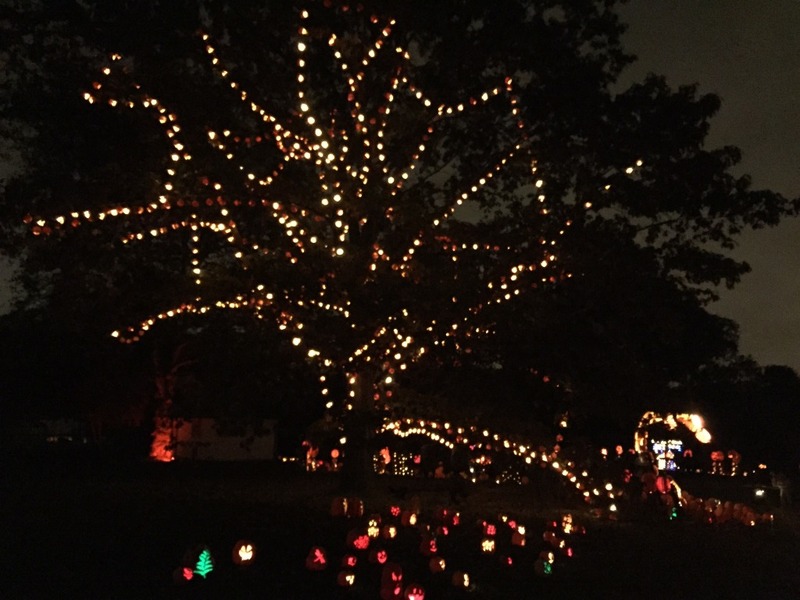 Add a 5 minute cab ride and you’ll end up at Old Westbury Gardens, an English aspired estate featured in movies like Age of Innocence, Hitch and The Great Gatsby. 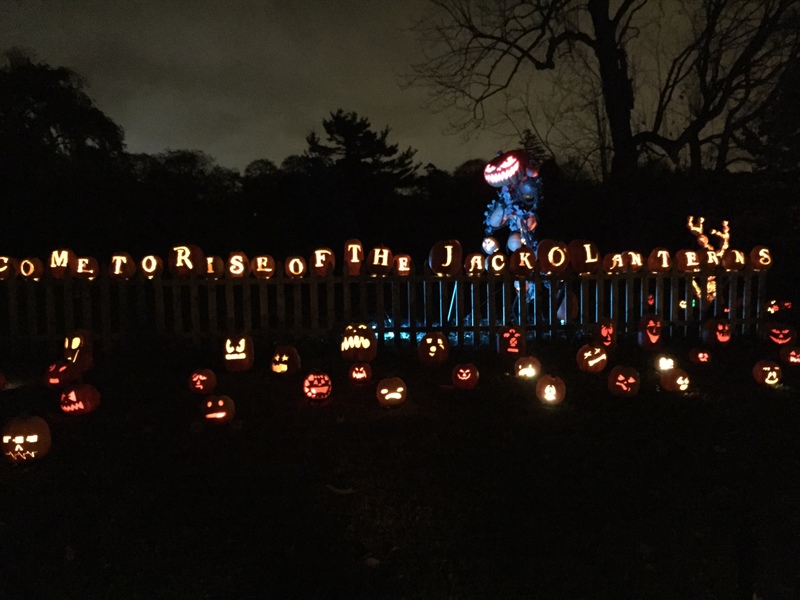 During the fall (editor’s note: he means autumn), Old Westbury Gardens is the home to Rise of the Jack O’Lanterns, an outdoor Halloween extravaganza that features more than 5,000 uniquely carved and lit pumpkins. 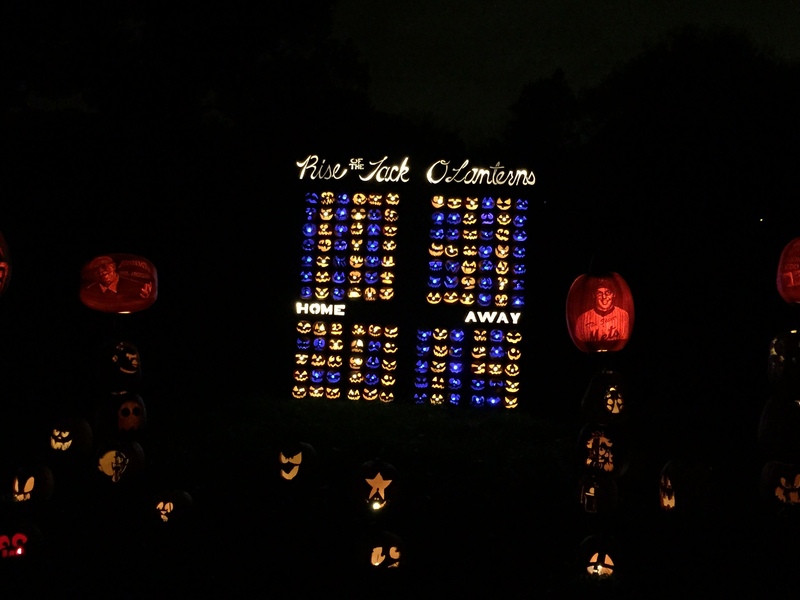 Best viewed after dusk, Rise features the pumpkins creatively arranged throughout a ¼ mile scenic trail. 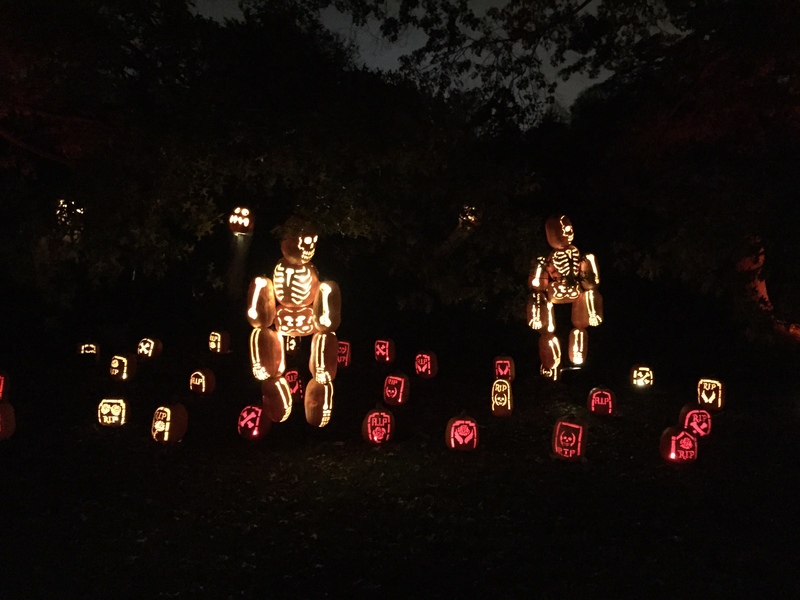 You walk down a trail with thousands of carved Jack O’Lanterns on either side of you arranged in several popular themes while spooky music plays in the background for dramatic effect. 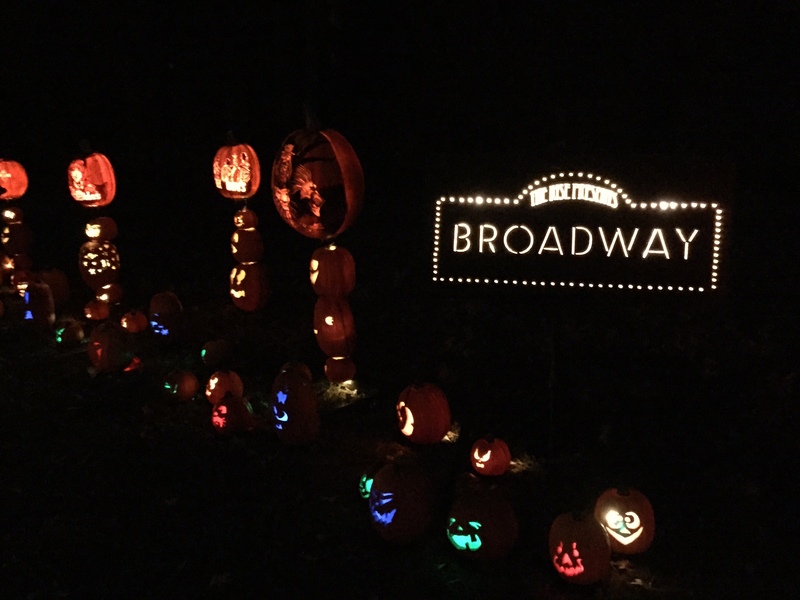 There’s also an arrangement of Broadway shows and even an iPhone 6 with apps. 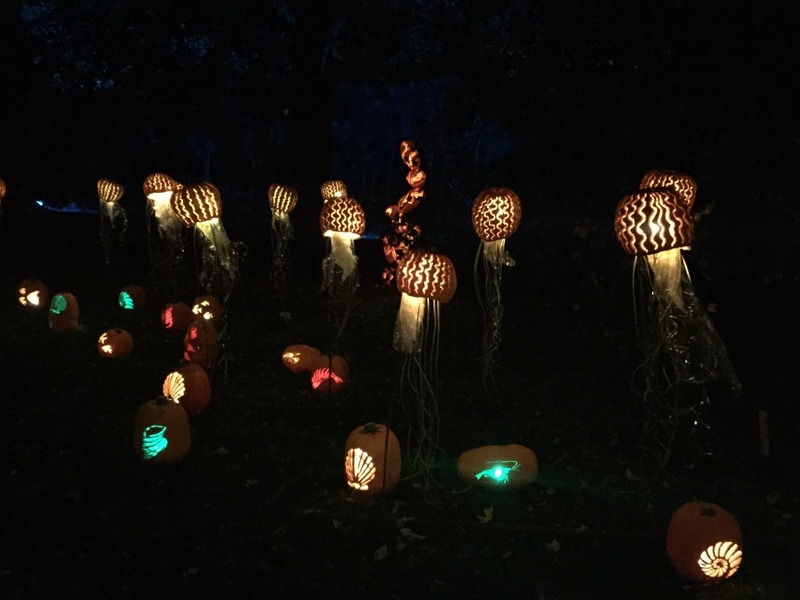 The whole experience lasts about a half hour as you wind through the path and take in all the amazing sites. 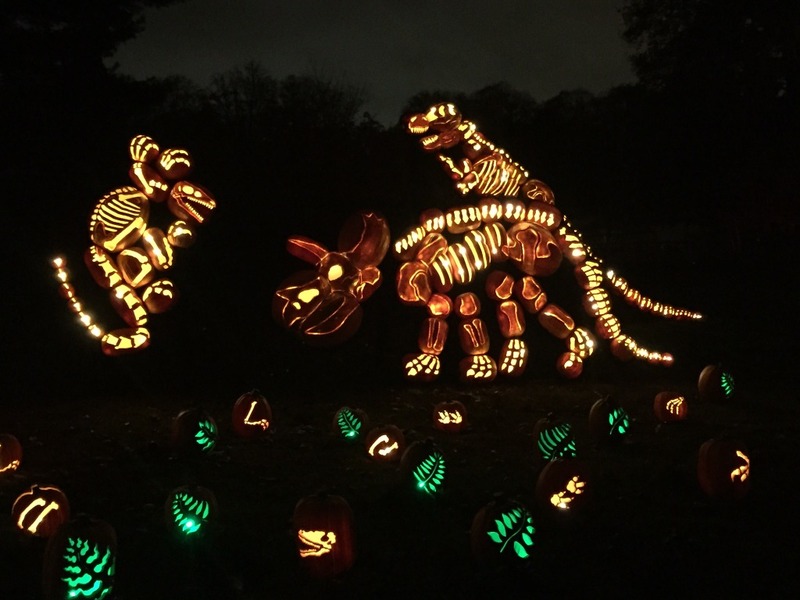 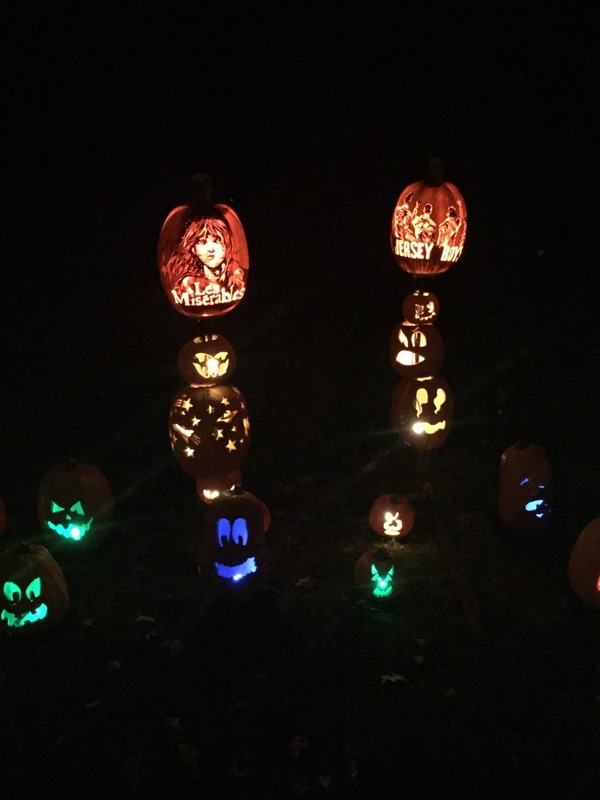 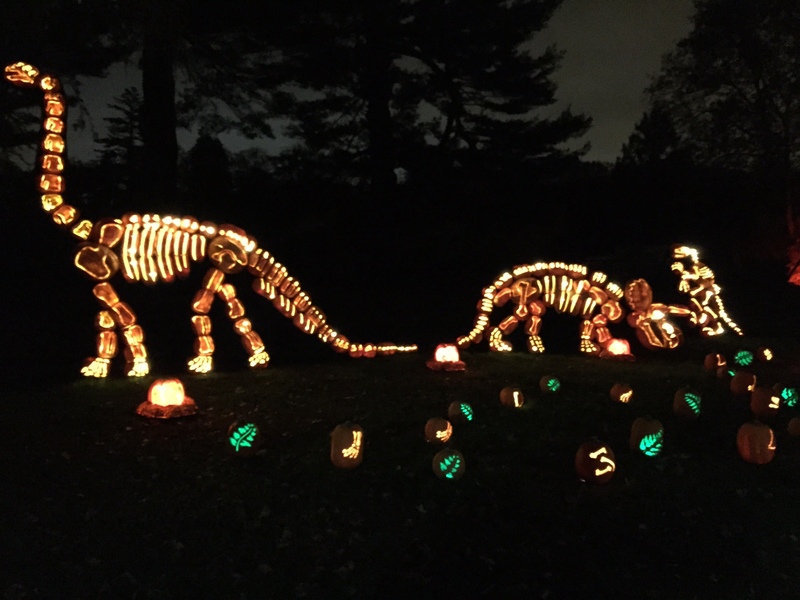 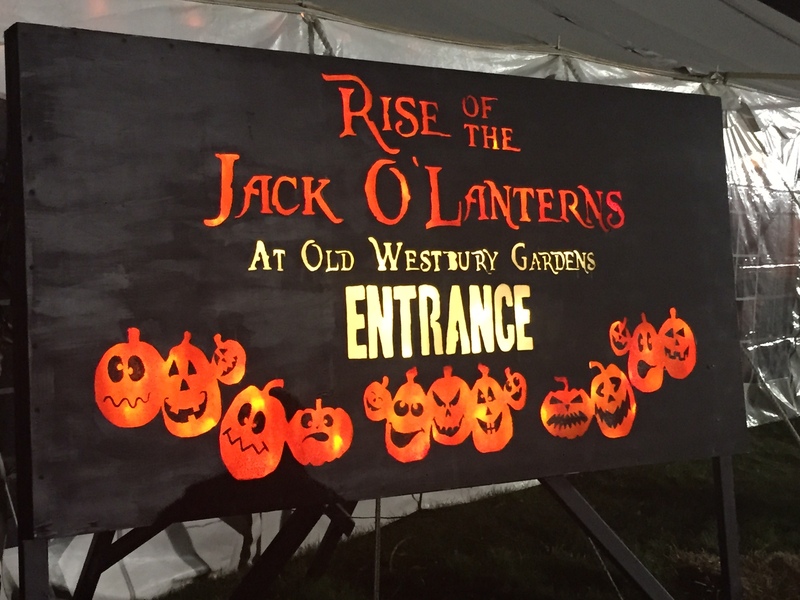 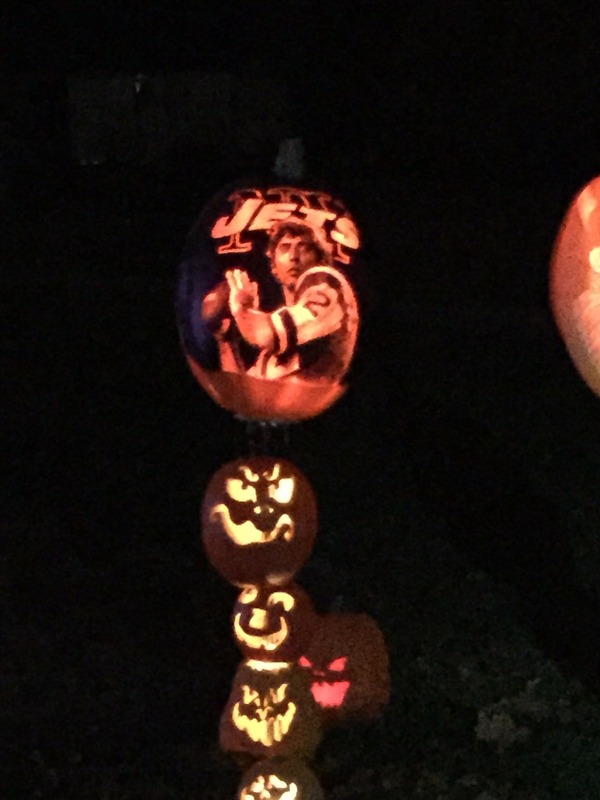 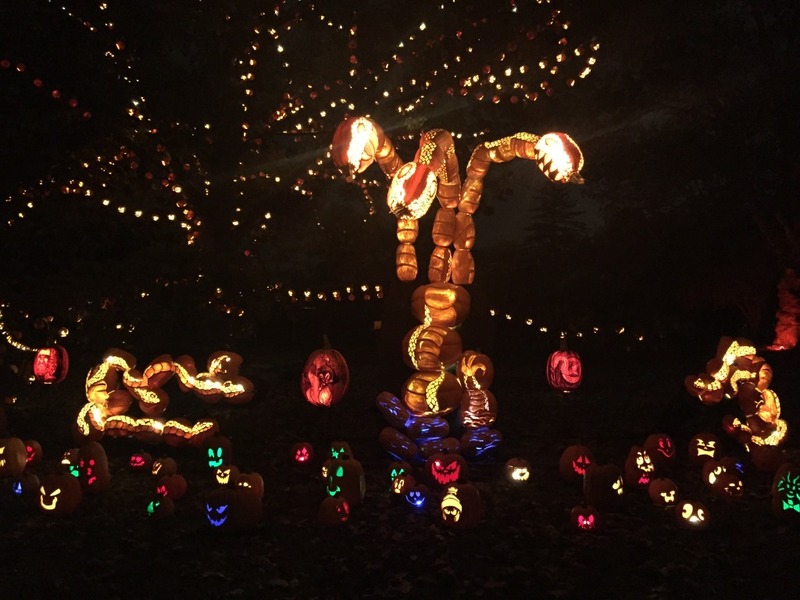 Although it is now closed for the season, Rise of the Jack O’Laterns returns each year to Westbury Gardens in October and lasts for the entire month. I love how detailed they’ve managed to get the pumpkins – my favorites are the jellyfish (third photo down in the top batch). 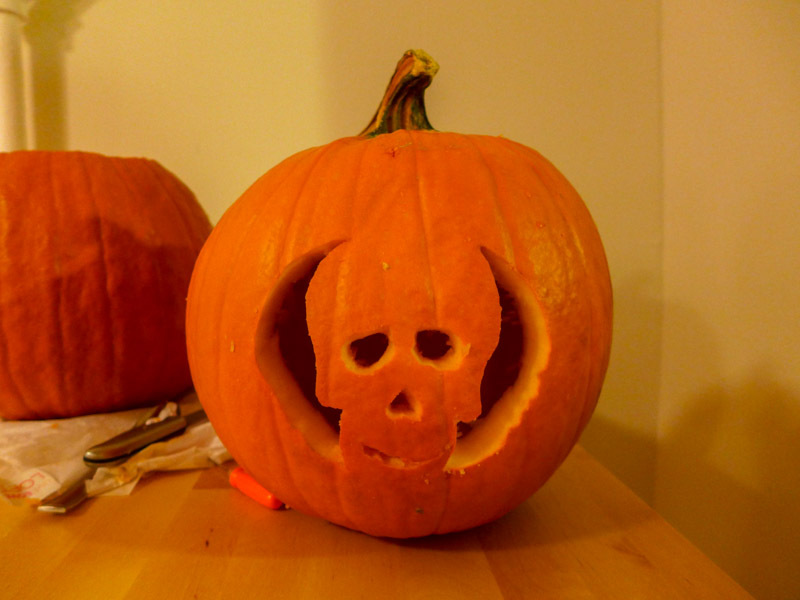 A little better than my effort, I reckon.